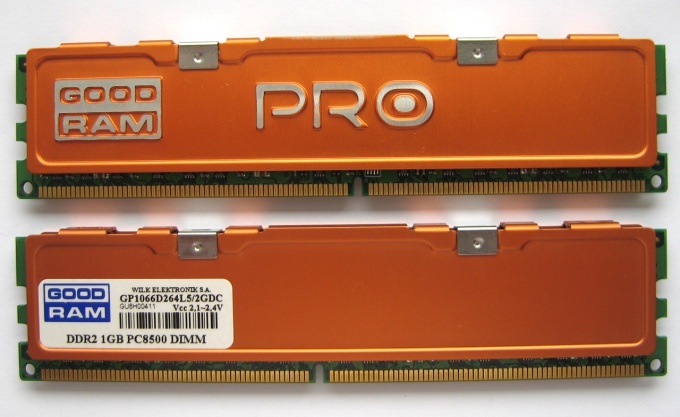 In that situation, when you want to increase computer performance without having to install new equipment, it is recommended to change the settings of the processor and operational memory. Usually these devices are set up in the BIOS. Turn on the computer and wait for loading the operating system. Check the status of the operational memory. To do this, open the start menu and navigate to control panel. Now open the "System and security" and select "Administration". Run "Check memory Windows". Confirm the restart the computer and wait for the completion of the test parameters RAM. Now again restart the computer and hold down the Del key. After entering in the BIOS menu, open the item, allowing to change the parameters CPU and RAM memory. First, increase the voltage to the RAM plank. This will prevent emergency shutdown of the computer. Now find four indicators of timings of the memory. Select the fourth item and reduce its value to 0.5. Now apply the new settings to the RAM work by selecting Save & Exit. After starting the operating system repeat the procedure for the inspection of the operational memory. If the test showed no errors, repeat the process of logging in the BIOS menu. Reduce the value of the index of the third item on the unit. Repeat the algorithm reduce the timings and check the status of RAM as long as the testing program did not reveal errors. Periodically increase the voltage supplied to the Board the operational memory. If you want to increase the performance of RAM, then configure the bus frequency. Usually this index is over the values of timings. Increase the bus frequency is 20-30 Hz. If the program test state RAM will not give errors, continue to increase the rate. In any case, do not reduce dramatically the latency. This can not only lead to malfunction of computer, but also damage the motherboards memory.